Bad weather makes driving more dangerous and makes road conditions worse as well. 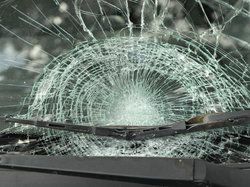 A skilled attorney, Lynn C. Harris realizes this and has remained vigilant when representing accident victims in and around the greater Salt Lake City area. Car accidents can happen in all kinds of weather, though poor weather often leads to motorists making bad decisions on the road that make accidents and collisions more likely. In addition, vehicle or part defects can make an otherwise safe automobile a hazard to others. Three of the most common bad weather elements that affect motorists are rain, snow, and fog, which we'll consider individually below. Rain can lead to major problems with poor traction and bad stopping times, making all kinds of collisions more likely in the process. In addition, heavy rain can greatly reduce or alter visibility through the windshield, and can make driving at night especially dangerous. Flooding can also be an issue with major rain, which can make hydroplaning more likely, meaning drivers can easily lose control of their vehicles. In cases of major flooding, it's possible for a car to hit a lot of water and then stall out. Snow and ice make roads slippery and potentially deadly. Without proper tires, chains, and/or road experience and strong driving skills, collisions are more likely given changes in stopping time and distance. Cars have been known to slide out of control because of ice and snow on the road, leading to multi-vehicle accidents even on otherwise calm city streets. Though not an accident per se, major snowstorms are a cause for alarm if they block off roadways or remain unshoveled/unplowed. This can leave motorists stranded, which can be potentially harmful, especially for older motorists out in the elements and infants. When driving in the fog, your visibility can be greatly reduced. In the worst potential scenarios, it may be difficult to see further than the vehicle immediately in front of your own. This makes roads especially hazardous, as pile-ups and stopped cars may be just in front of you but you won't realize it until they are finally visible through the fog. A number of accidents (particularly rear-end accidents) have been caused by such severe reductions in overall visibility. Should you or someone you care about be injured in a severe auto accident, please remember that we will be more than ready to address your questions about potential litigation. If you or a loved one has been harmed as a result of a serious auto accident, it's important that you contact a skilled personal injury attorney about your legal claim today. Lynn C. Harris will work closely with you to ensure that your case is heard so you can receive damages for injuries and other losses.